Make sure your signs are read by all. 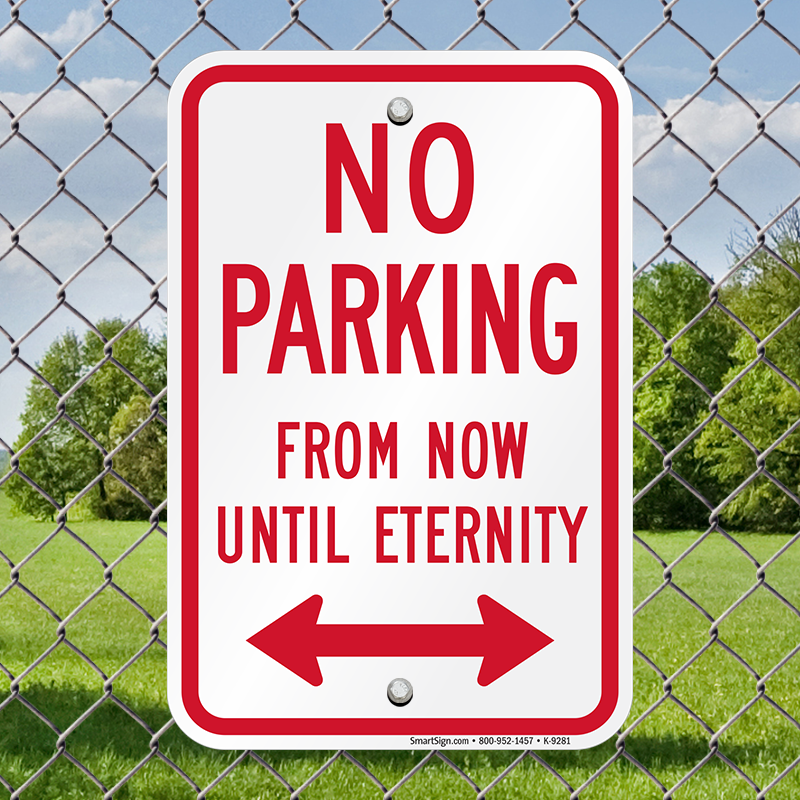 Add a little humor to the "No Parking" message and see the effect. 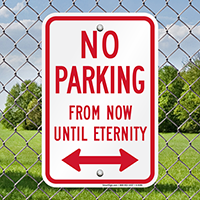 This funny No Parking Sign reinforces abidance. • Bold and humorous message grabs attention quickly. 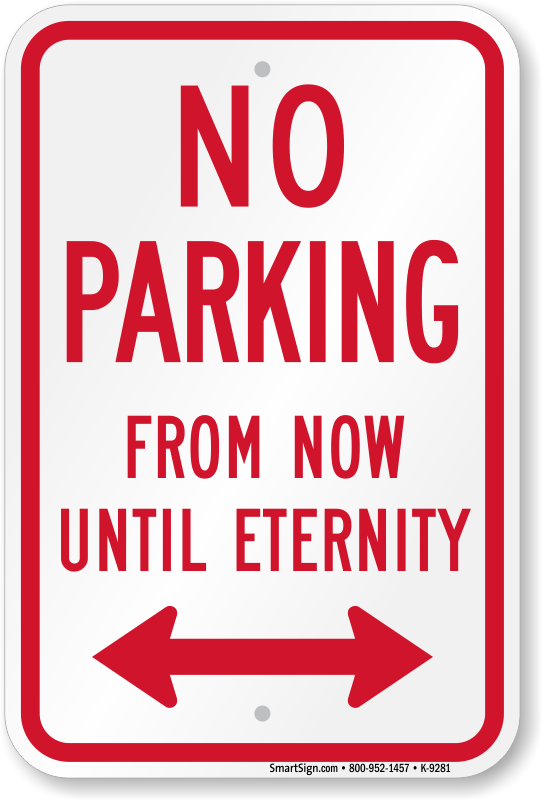 • Bidirectional arrow on the sign designates a No Parking area clearly. • Use the pre-drilled holes to install the sign.